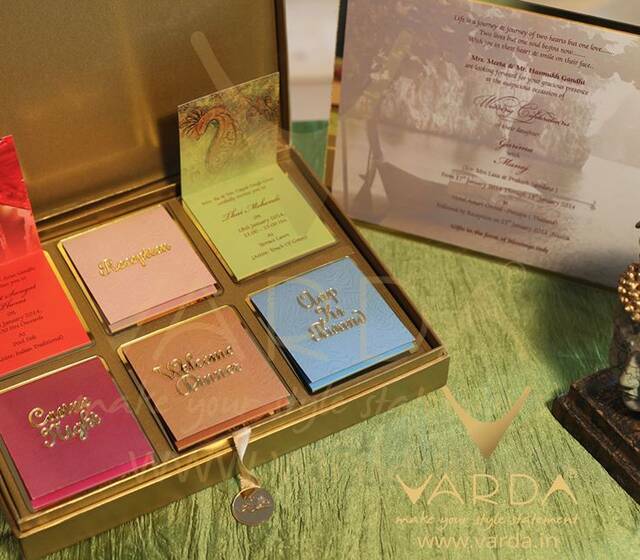 Varda a name that has carved a special place for itself in the designer wedding cards industry. 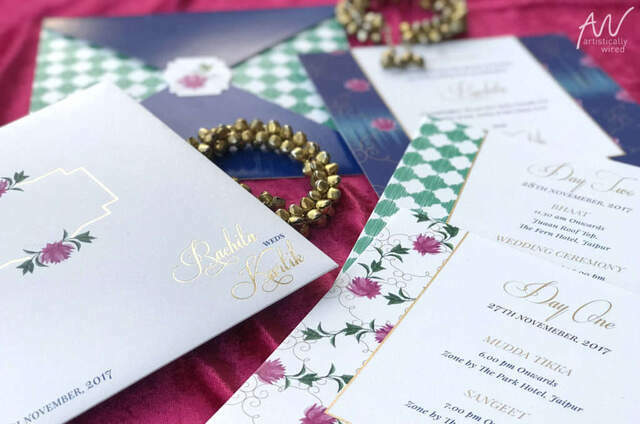 Mr Gopal Shah an expert and a renowned personality in the Indian wedding cards industry founded Varda, to meet the insatiable needs of the customers who want lot more than just the ordinary when it comes to high end wedding cards. The company has been very successfully meeting the needs of its customers in the most efficient way possible. Though we specialize in designer wedding cards, we also take care of all types of invitations including but not limited to party invitations, corporate invitations, religious invitations and anniversary invitations, birthdays invitation baby shower baby announcement invitations & much more! We have two showrooms in Mumbai, one showroom in each of these cities – Chennai, Cochin (Kerala), New Delhi and Surat. The company however serves not just these cities in India but also the other cities in the country and outside the country. We have a fully equipped and well-staffed design and printing facilities to meet all your requirements no matter what your tastes and preferences are. 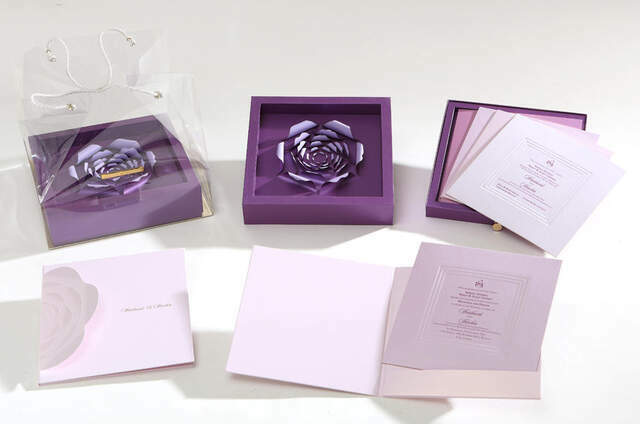 Bringing together the creative skills of the top designers, the company focuses on delivering outstanding luxury wedding cards. Right from day one our premium wedding cards company is spearheaded with a clear vision; it is never just about selling wedding cards. 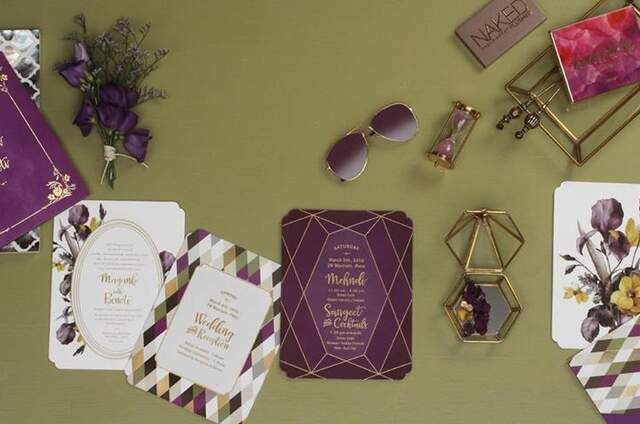 The wedding cards that we design and deliver are never just about paper and print work they help you make your style statement and it is about striking the right note, setting the right disposition for the couples who start their journey as husband and wife on the most special day of their life. 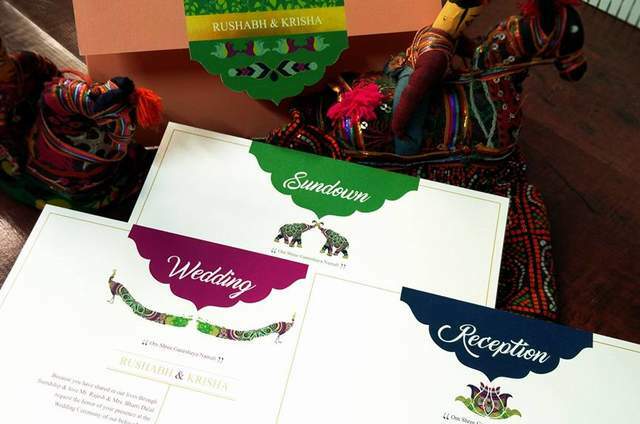 Our cards help the couple and their families emulate all their aspirations for the dream wedding that they have been planning for months effectively through outstanding wedding design and unparalleled print work. 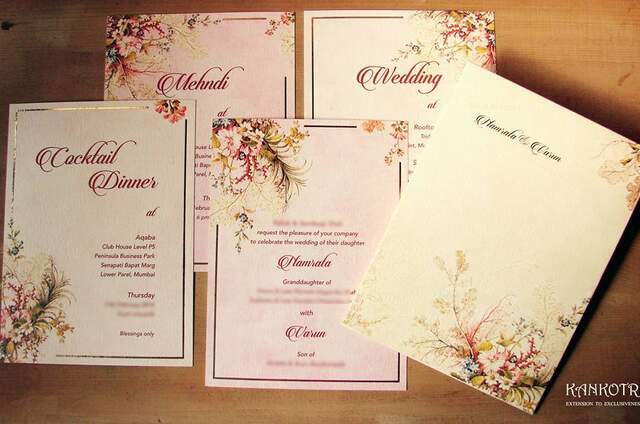 We as wedding card designers ensure that customers get the best value for their money. We never stop with meeting the expectations of the customers but go beyond the call of duty and exceed their expectations. Customer satisfaction being the core value of the company, we try to deliver the best every time to our customers. 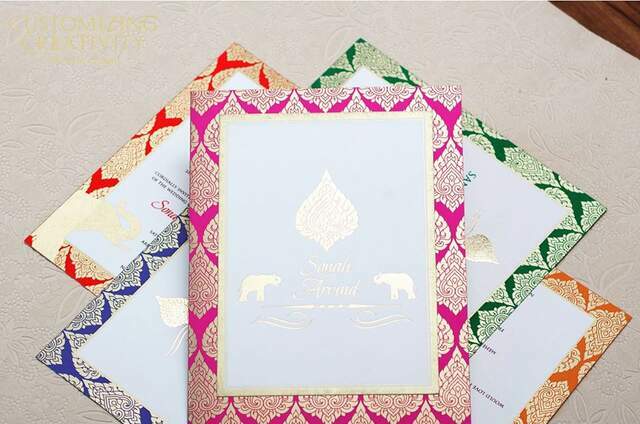 We strive hard to build positive rapport and to build long-term association with our customers by providing them with consistently impressive wedding cards. Whether it is the design or the print technology, we make use of the best and the latest available in the industry. 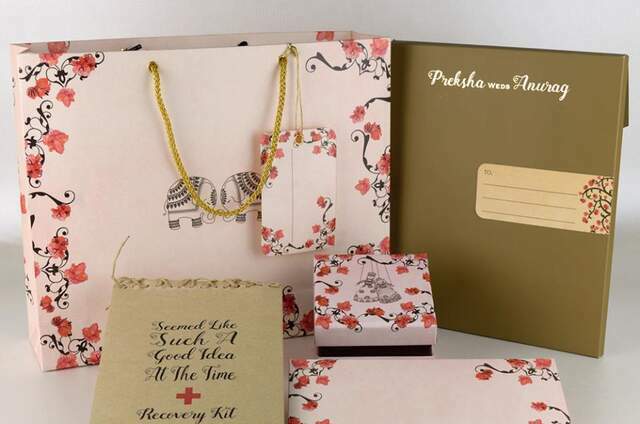 Varda sets a very high standard in the Indian designer wedding cards industry that is hard to match. 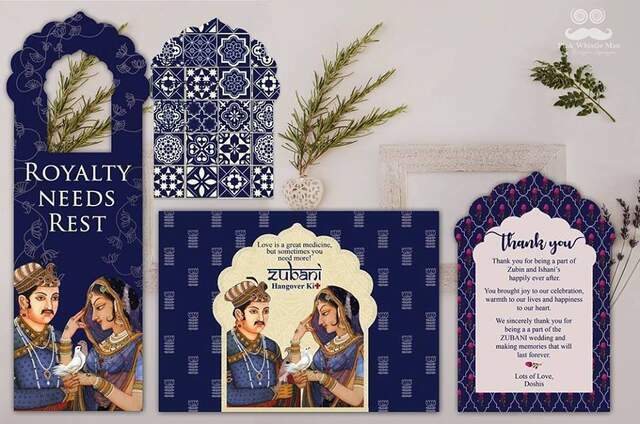 We have won the hearts of thousands Make it thousands of customers with our customized wedding cards so much so we are considered the most trusted & dependable wedding invitation card company by our customers. We are proud that our business is growing in leaps and bounds not by massive marketing drives but by shear word of mouth references by customers who have enjoyed our services. The company gives access to customers exceptional quality and distinctive designs so that you could make your style statement. We put our customers first in everything that we do. Do visit us, call us or write to us and we will be there to assist you in every way possible making it easy for you to select the best wedding cards for your loved ones. 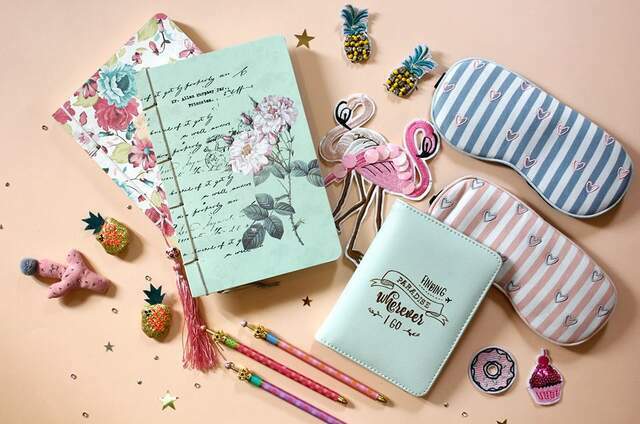 Do visit us, call us or write to us and we will be there to assist you in every way possible making it easy for you to select the best wedding cards for your loved ones.